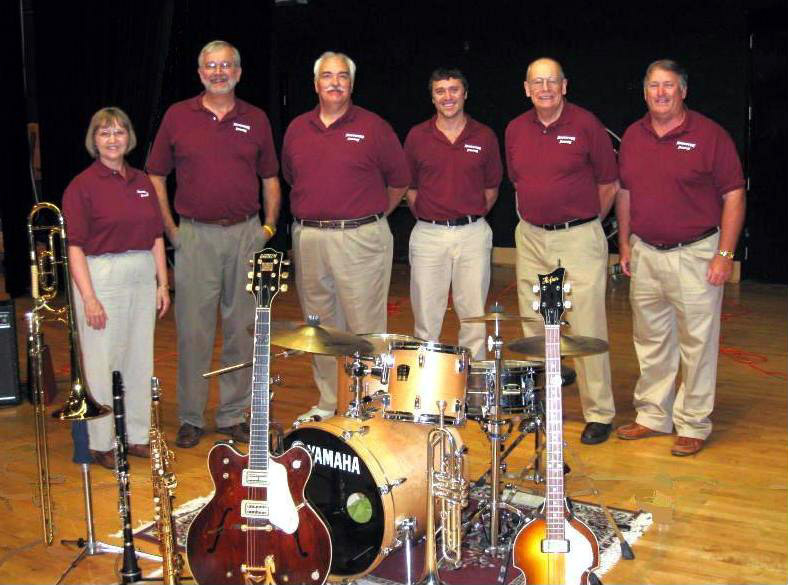 The Shakertown Stompers began in 1999 as a band put together to provide music for a picnic at Kirkmont Presbyterian Church in Beavercreek (on Shakertown Road). Since that time they have played at various retirement centers and senior centers in the community, for weddings, and private parties. For the past several years they have appeared regularly at the Clifton Opera House, and recently at Lofino Park in Beavercreek. They play predominantly Dixieland- style music with a few surprises thrown in! The Shakterown Stompers band members are: Ron Mead – trumpet and vocals; Larry Roberts – trombone and vocals; Bob Schwenke – clarinet and vocals; Amy Vaubel – keyboard and vocals; Dave Vaubel – drums; and Gail Vaubel – bass guitar and vocals. Shakertown will be playing on Friday, August 12th at 7:30pm. The box office opens at 6:30pm. The Clifton Opera House is located at 5 South Clay Street, Clifton; it is air conditioned. Admission is $7.00 Call 937.342.2175 for ticket information.